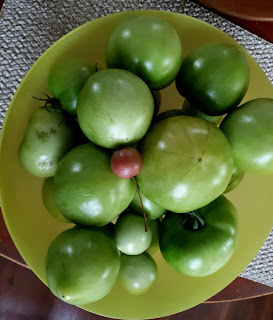 I harvested one of my tomato plants early, so I'd have a supply of green tomatoes to make chow-chow. Recipe to follow in a future post. We have lots of red and ripening one for other uses.